Amana has been in the heating and air conditioning industry for a while. Over the years, they've perfected the art of efficient convenience. This TTW unit is yet another triumph for the Amana brand. 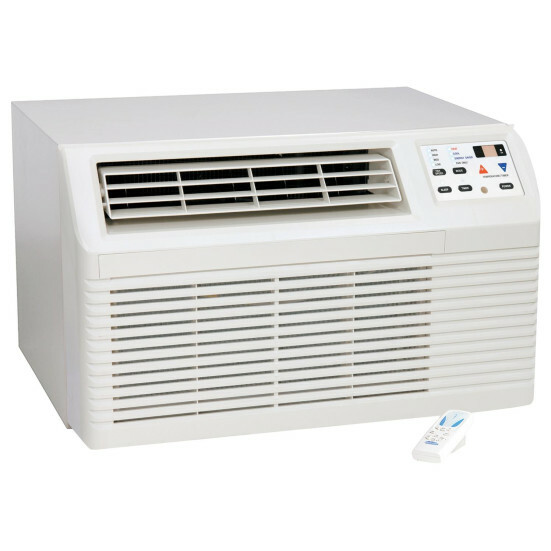 Designed for long-lasting, quiet comfort, it operates at a whisper and will for years to come. The top air discharge is complete with four-way adjustable air throw. The slide-out chassis makes installation and service a breeze. The option of high and low fan speeds lets each guest create their ideal conditions. As for maintenance, Amana always puts effort into making things simple and easy. The condenser top is easily removed for cleaning the outdoor coils. It's as simple as taking out six clear-access screws. This feature alone can drastically increase the lifespan of the compressor and other essential components. The ease doesn't stop there, either; sliding the filter out to clean the permanent polypropylene mesh takes moments. And don't worry about forgetting that little chore; the â€œCheck Filterâ€ light will let you know when it's time. Easy-to-set switches let you configure that very light--along with the temperature-limiting capability. 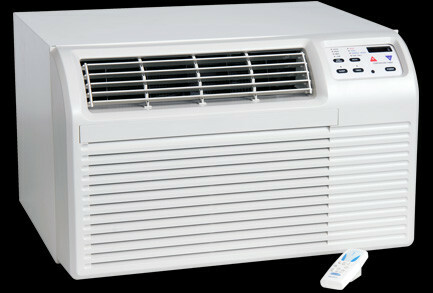 You can even adjust the fan auto cycle for heating and cooling. Amana isn't asking you to take any leaps of faith. To guarantee reliability, they put every unit through a full test before it leaves the factory. 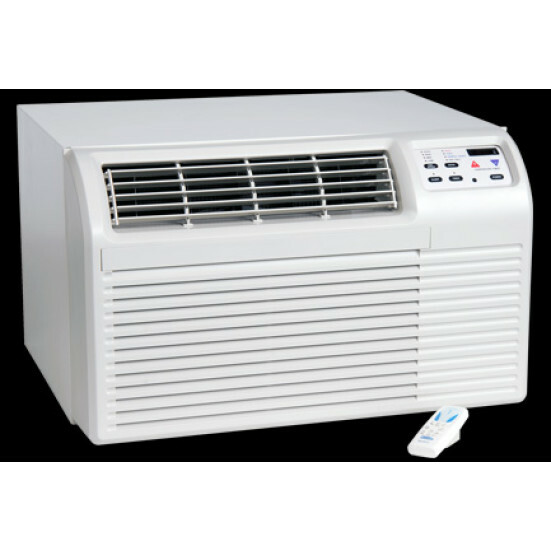 If that isn't enough verification for you, the Underwriters Laboratory certifies this TTW air conditioner in the USA and Canada. With Amana, you know you'll have a reliable appliance from day one--and all the convenience you could ask for. 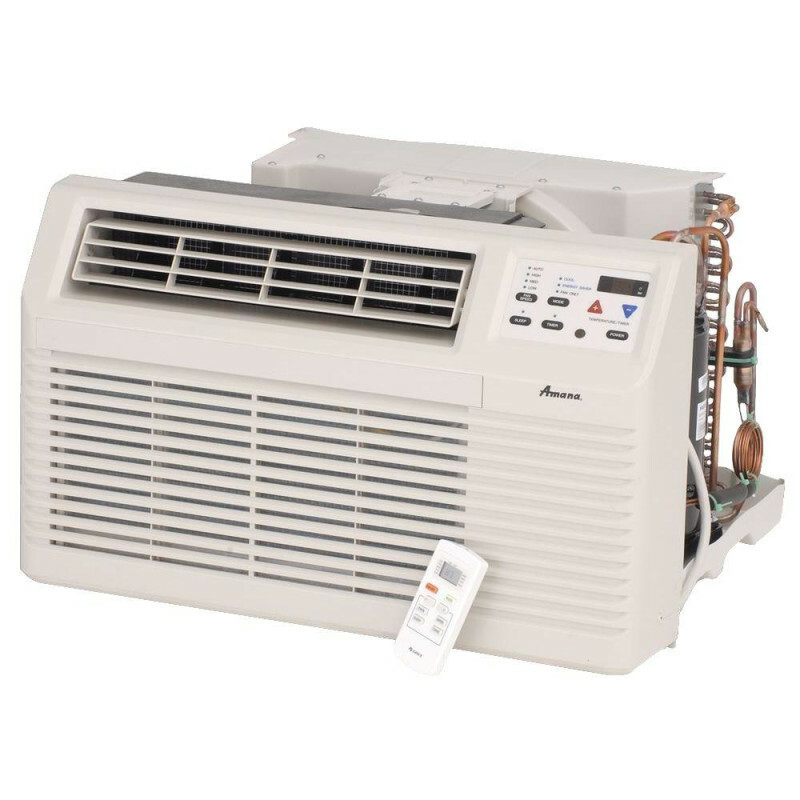 When it comes to efficient, effective, and quiet climate control solutions, the 9,000 Btu Amana TTW Heat Pump with Electric Heat Backup checks all the right boxes. You and your guests can rest in total satisfaction while it does the work.